Ensures that your site will look great across all of today's devices. We focus on web design solutions that are low maintenance. Who has time to spend their life managing their website? Well, us, actually. But that’s our job! It’s not yours. We will get you set up with a site that not only looks good, but can also be maintained efficiently. You can also edit you site from anywhere in the world, with no special software, even from your smart phone! Sound too good to be true? Well, it is! But it’s also true. You’re beautiful. You know it, we know it, what are we going to do about it? We’re going to capture it. That's what. 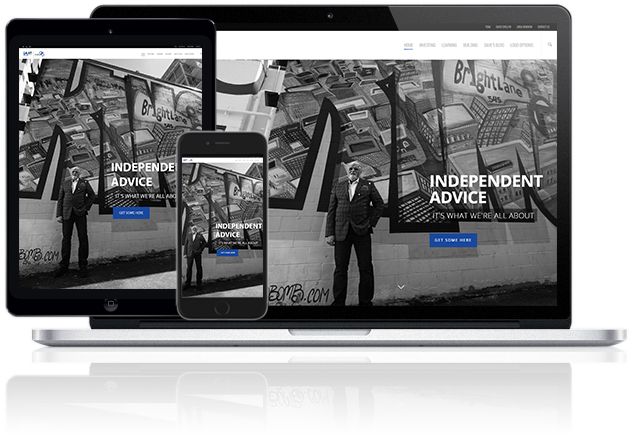 We’ll design a site for you that is responsive, easy to navigate, and effective. Look around if you need proof! We eat, sleep & breathe creativity. Literally. We're on 24 hours a day, whether we like it or not. Usually we like it, so it's all good. Need to sell directly from your website? We can do that too. We can see you all the way through from concept to completion, and even help you manage the content. All under one roof. Give us a try!